A VPN is essential these days no matter what country you live in and as we connect more devices to the internet it’s important to look for a VPN service that lets you use it on multiple devices. VPN services can range from letting you use it on between 2 and 6 devices and as most services cost approximately the same you can get a lot more service for your money if you shop around. The number of devices you can use the service on isn’t dictated by the quality of service either. It’s possible to find some of the best services that offer the most concurrent connections on multiple devices. In this guide we’re looking at the best services that offer the most multiple device connections giving you more for your money. NordVPN is without question the best VPN service for multiple devices. They offer not only one of the better VPN services but you can also use one account on up to 6 devices at the same time. Servers are available in over 60 countries so there is plenty of choices when it comes to connection and it means you can use the service almost anywhere in the world. There’s a huge 30-day money back guarantee on the service giving you plenty of time to test it across a range of devices to see how it performs. If you’re unhappy then simply get your money back. We really like the fact they’re registered in Panama which puts them outside the scope of any logging requirements allowing you to stay safe and secure online. If you’re looking for a VPN service to use on multiple devices then VPN.ac is well worth looking at. You’re allowed to connect at the same time on up to 6 devices which is far more than many other services allow. Coupled with the ability to connect on many devices is one of the top VPN services. In our tests we found the service to be consistently faster than many other providers out there. Paying on a monthly basis is a little expensive but if you opt for one of the longer packages you’ll get some of the cheapest prices which is great for one of the best VPN services out there. The encryption options on the service are higher than most and there are additional security features which keeps your connection safe. IPVanish is another one of the best VPN services available. In fact they were awarded our 2018 Best VPN Service award. You’re able to use the service on up to 5 devices at the same time all with one account. One thing we love about the service is they have a big range of apps available including for Android, iOS, Windows, Mac and Amazon Fire Stick. This allows you to use one account on many different types of devices or share it across your entire family. The service offers a lot more server locations than VPN.ac in over 60 countries so it’s suitable to use almost everywhere in the world. Another standout feature is the fact they store no logs of either your activity when connected or your connection details such as the times you connected and the servers you were assigned. If privacy protection is important then this feature alone is worthwhile. CyberGhost VPN is one of the most well known VPN services in the industry and the ability to connect on up to 5 devices at the same time puts it up there with the best VPN for multiple devices services. There are no restrictions on the types of devices you can use the service on allowing you to install it on both home computers and mobile devices. It’s worth noting however if you purchase directly in app on iOS or Android then you’re restricted to using it on 5 devices with the same Apple or Google ID. Like NordVPN there’s a massive 30-day money back guarantee which gives you plenty of time to test the service over your range of devices to see if it lives up to your expectations. If you don’t like the service then it’s simple to get a refund. We especially recommend the service for beginners because the apps are extremely helpful in getting you connected to the correct server for your needs taking away the guesswork. VyprVPN is another good choice when it comes to connecting on multiple devices. However, you do need to sign up for their Premium package. The standard package allows connection on up to 3 devices at the same time, but the premium package allows connection on 5 devices concurrently. Thankfully the premium package is a similar price to most other standard VPN packages from other providers. 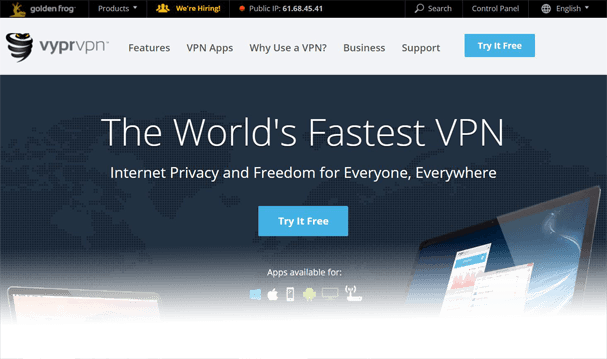 One of the best features of the service is there is a completely free VPN trial. The trial is available for 3 days and gives you access to the full service without limitations. You’ll need to enter some payment details to get the free trial but if you don’t want to keep it then just cancel before the 3 days expire and you won’t be charged anything. Choosing a VPN for multiple devices is relatively simple. All you need to do is look for how many “concurrent connections” or “simultaneous connections” are allowed on the service. All the services listed above allow you to install their apps on an unlimited amount of devices. Their limitation is how many devices you can connect at the same time. We strongly recommend signing up to NordVPN because they offer one of the highest limits allowing you to connect on 6 devices at the same time. They also offer an extremely good VPN service too and are comparable in price to other similar services. 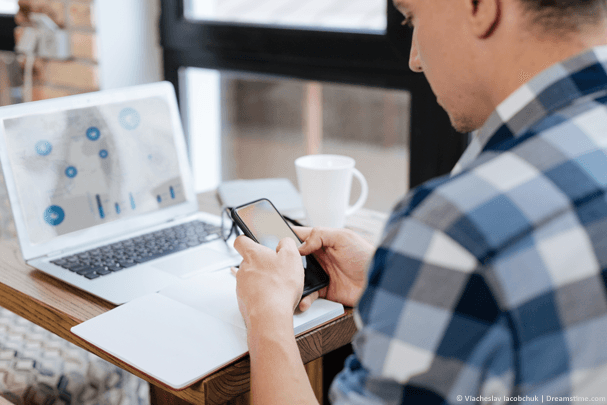 However, all five services above make good choices as they allow you to connect on a minimum of five devices which is some of the highest levels in the industry. The types of devices you can use any of the recommended services above on is limited only by the device itself. If the device you’re using allows VPN connections then you can use the service. Most providers such as those recommended above have apps to help make connection easy but even without an app it’s still possible to set the service up manually if your device allows it. The services listed above all offer apps for Android, iOS, Windows and Mac. Additionally some even offer apps for Amazon devices like the Firestick and Fire TV. So whatever device you want to connect on, as long as it can accept VPN set-up it will be suitable to be used with the services above. VPN services are essential these days for protecting your privacy, accessing blocked content such as TV services and a whole host of other reasons. As we connect more devices to the internet such as phones, tablets and TVs it becomes ever more important to protect your connection on these devices too. For that reason it’s important to look for a VPN that offers good value for money by allowing you to connect on more than 1 device with your account. 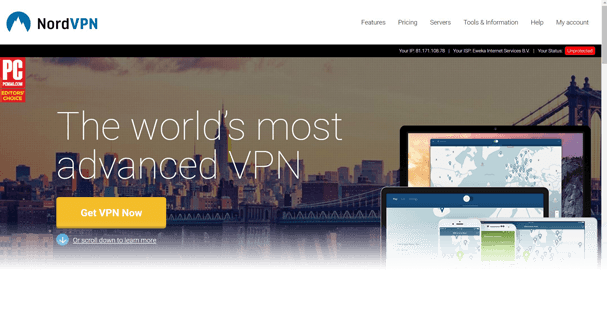 We recommend signing up to NordVPN because they allow you to connect on 6 devices at the same time and they were featured in our top VPN services of 2018 guide. However, all five providers recommended above let you connect on up to 5 devices at the same time which is the upper limit in multiple devices. All you need to do is choose one of the providers above and enjoy protecting your range of devices or family with just one account.